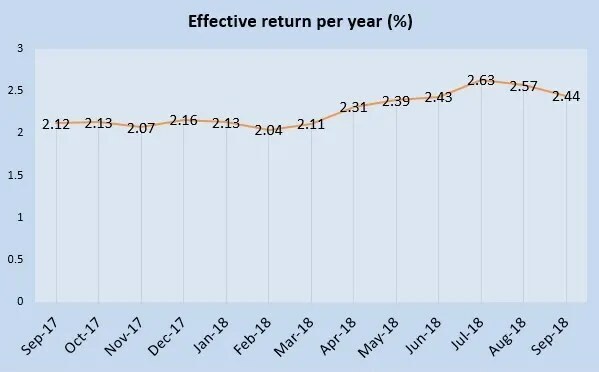 The effective interest rate for September 2018 Singapore Savings Bonds if you held it for 10 years is 2.44%. As usual, I will be applying for September 2018 Singapore Savings Bonds (GX18090T). Reading about the increasing retrenchment rate in Singapore as compared to last quarters reminded me to continue building my emergency fund. The best place is to build an emergency fund and collect interest is the Singapore Savings Bonds as one of the benefit is there is no lock in period for the bond.